Puppy Love - Wedding! 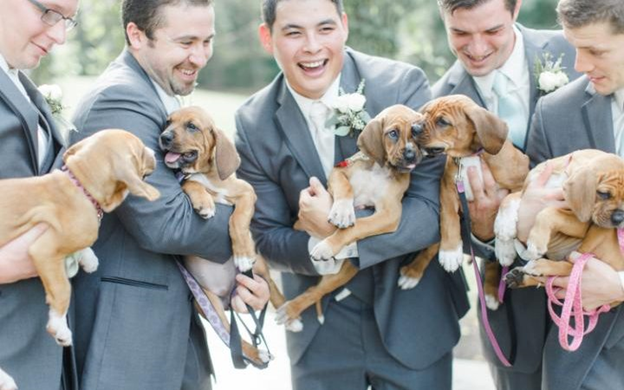 This Bride Held Rescued Pups Instead Of A Bouquet! On September 10, Sarah Mallouk Crain did something that was really unheard of. The pretty bride from Elizabethtown, Pennsylvania, who works for the dog rescue organization PITTIES LOVE PEACE since 2011, asked her bridal party to put their (flower) bouquets down and hold rescue pups during their portrait session after the vows. 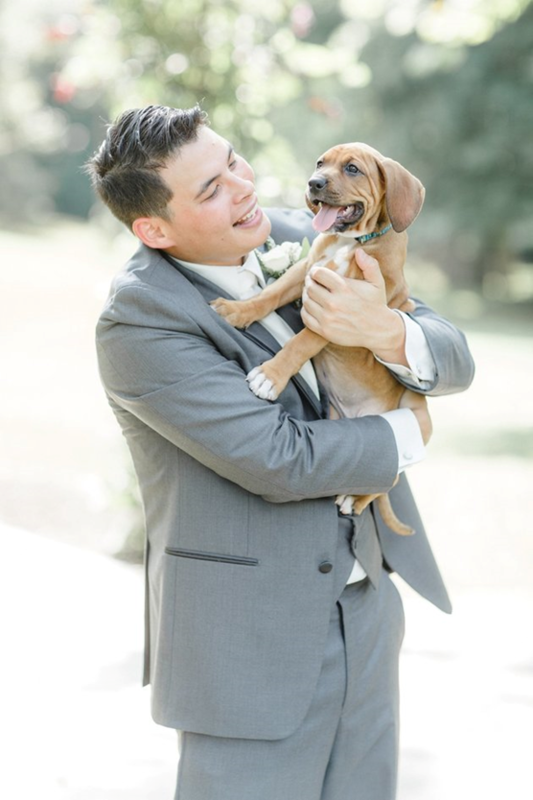 When asked the groom whether he knew about his bride’s obsession for dogs, and he said he fell for her just for that! 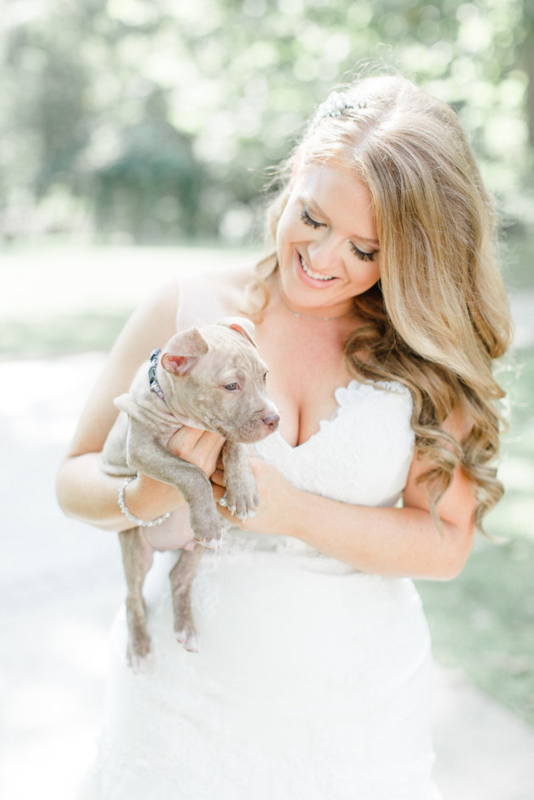 “My days are spent rescuing, training or rehabilitating dogs so it only seemed fitting that I needed to include some on our big day.” said Sarah. Special guests on the list were five boxer-coonhound sisters named Martha, Abigail, Dolley, Elizabeth, and Louisa (named after the original First Ladies of the United States). Crain posed with a nine-week-old pit bull Biggie Smalls, who was found on the streets of Brooklyn. And without a doubt the pup adorned the bride much better than the usual white flowers. The post wedding photo shoot was a blast as the bridesmaids and groomsmen posed with the little canines. 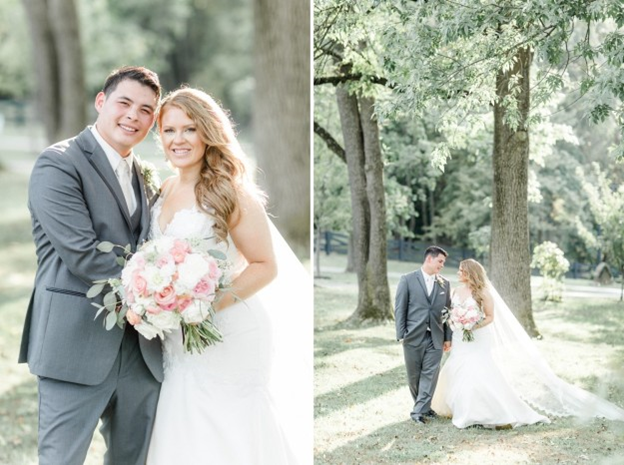 Sarah wore a Tara Keely gown from Kleinfeld on her big day while Matt looked dapper in his grey tuxedo, but it was the rescued pups who stole the show with their ultimate cuteness! Matt and Sarah touched many hearts of animal lovers with their very benevolent act.These cute boxer-coonhound pups were brought to Sarah’s shelter when they were just a week old. “Her heart for rescue pups is obvious and she now gets to share that with Matt as they start their lives together as husband and wife with several fur-babies already a part of their family, making life extra sweet,” said their elated wedding photographer Caroline Logan. Sarah and Matt own three dogs of their own (Mara, Leo and Atlas). 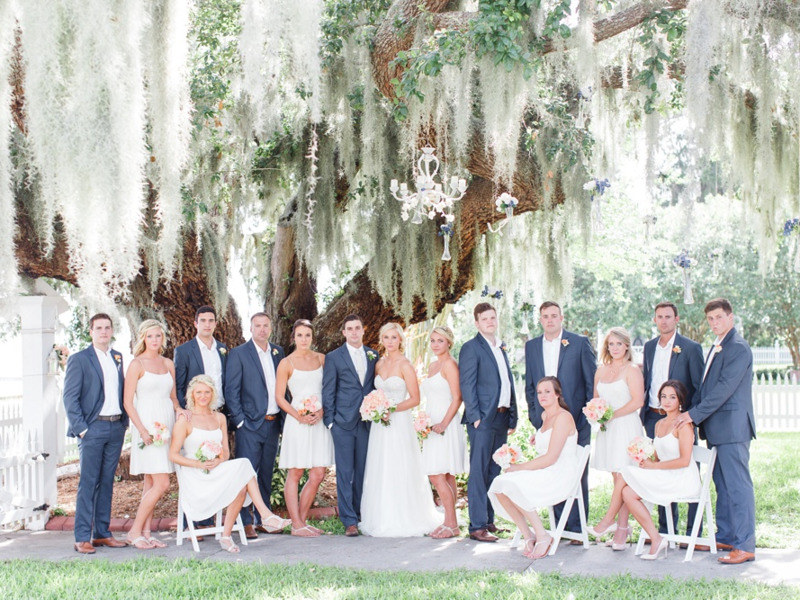 “They are the best ‘kids’ we could ever have,” the bride told HuffPost. The boxer-coonhound pups will soon be ready for adoption as they find way to their new homes from their foster home! Cheers to this amazing couple! Hope they have an amazing life ahead! Woof woof!